Small Business Finance Tips: Managing your P&L for PROFIT! There is only one way to be successful in business and that is to make a profit. To build cash and to grow a business requires PROFIT! 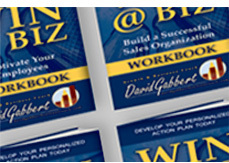 Many times profitability is secondary to sales in a business owners mind … but it shouldn’t be. Sales volume is obviously critical but it is just one part to the financial success equation. Cash can only be accumulated with a spread between sales and expenses. And that spread should be at least 5-10 percent. Profit is a prerequisite to growth. When you cannot grow cash, you cannot grow your inventory, the size of your facility, the quality of your people, your marketing impact, or efficient processes. Generating cash is the best and least risky path for growth. Consider the alternative source for cash – debt. Think about it, if the company cannot generate cash, why would one choose debt to grow a company? So PROFIT is king. The secret is to learn how to manage your P&L statement for profit; there is always room for improvement. Let’s examine the key P&L sales and expense categories – sales, gross profit margins, general and administrative expenses, and sales expenses. 1) First, you must have the proper analytical financial tools in place. To benefit your financial analysis, profit and loss statements can be structured to reflect the operations of your particular business. For example, in a service or manufacturing business, you may choose to itemize the various expense categories that make up your cost of goods sold. This will give you the ability to analyze the component costs that make up the cost of goods sold category. You may also choose to categorize expenses into fixed or variable costs. This organizational method allows one to more readily compute their break even and make quick financial decisions accordingly. Sales can be impacted positively in many ways. 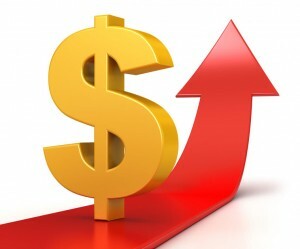 Consider the following: improve the total value to the customer making it possible to increase price, increase your average sales price per customer by selling more companion products or services, improve customer satisfaction to increase repeat sales, improve your marketing program to find more prospects, improve your sales closing ratio to convert more prospects into sales. b) Gross profit margins – What is the average gross profit margin for your industry? To improve this number, increase the sale price or decrease your costs of your product or service. You can always charge more money for the perception of increased value. The secret is to differentiate from the competition to increase overall value to your customer. People will pay more for a recognized value. It is difficult to thrive financially by offering the lowest price.. Controlling the cost side of your product or service requires a “get tough” attitude on costs. Keep your eye on the ball at all times; costs can easily skyrocket out of control. c) General & Administrative Expenses – Depending upon the type of business, labor and rent are usually the two largest general expenses. Ask, what are the industry averages for wages for specific skills? Are you paying too much? How can you increase productivity and cut out waste and duplication of labor to decrease your administrative costs? Is your rent to sales ratio within industry averages? Are you paying a higher rent for a prime location to drive sales? That strategy can be okay as long as you are achieving your target sales with less advertising costs. Look to convert as many fixed coast to variable expenses as possible; variable expenses are only incurred when you make a sale. For example, outsource your delivery service so delivery costs become directly related to sales rather than an ongoing expense. What additional expenses can you re-structure or outsource to become a variable rather than a fixed overhead. d) Sales Expenses – What are your industries average sales expense ratio to sales? Consider the following strategies to get more bang for your advertising dollar: Start measuring every advertising event for return on your investment; you cannot afford to be spending dollars on lackluster advertising strategies. How about your sales staff’s effectiveness? How can you improve their tools, product knowledge, sales skills, and training programs to increase the percentage of prospects converted to sales. How can your sales staff increase the dollar amount of your average sale? How can you alter their compensation program to achieve your target sales while controlling your sales costs as a percentage tied directly to sales? Never stop working on improving the numbers in your profit and loss statement. It takes time, planning, effort, and follow-thru to maintain profit margins. Set your profit target at 7 percent plus after tax. Your company cannot grow without the ability to generate after tax cash.